The cooking time was excruciatingly long considering that we cooked this at 8:00 AM this morning while enduring its cheesy aroma wafting inside the house until it was all done at around 6:00 PM. The long wait was all so worth it! The potatoes turned out to be firm on the outside but fluffy on the inside. The melted layers of cheese have this soft, custard-like texture that made our mouths water. The bacon generated that good ‘ol meaty goodness we love and the semi-burnt cheese on the side gave the dish a very rustic appeal. 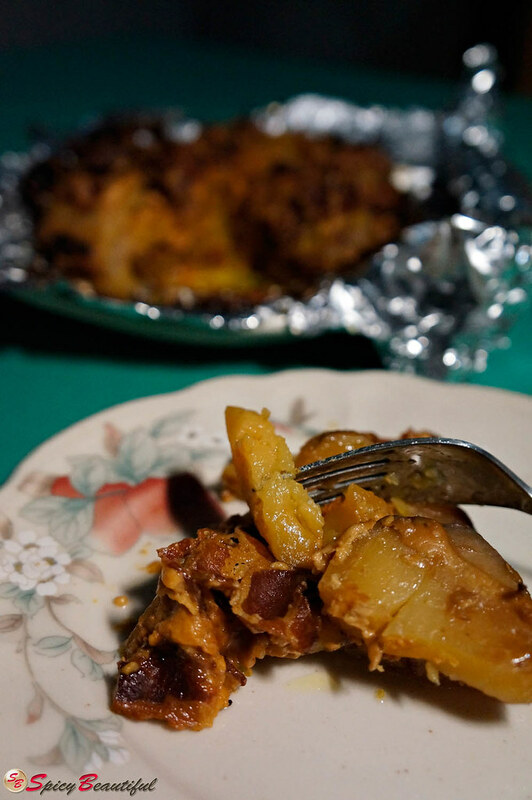 This dish makes a great companion for weekend barbecues or when you simply want to indulge with bacon, cheese and potatoes altogether. I’m still eating my share while I’m typing this so it actually makes a lovely evening snack as well. 1. 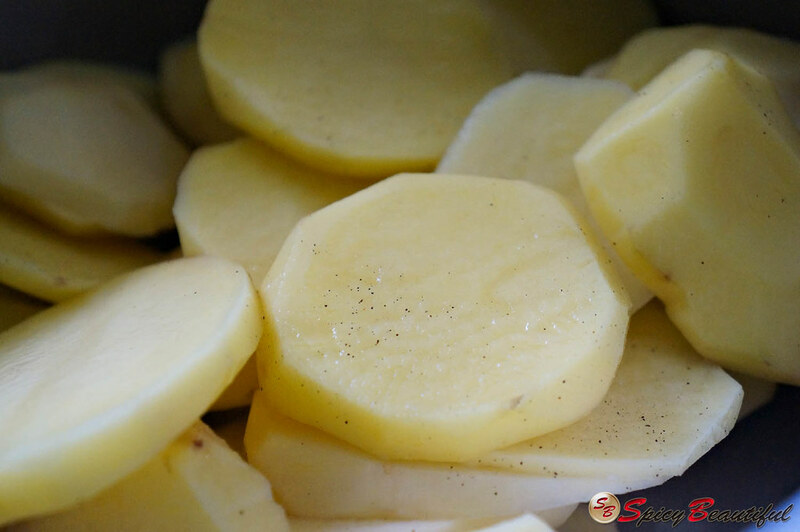 Season potato slices with salt and pepper, set aside. 2. Pan-fry bacon until crispy and cut into bite-size pieces, set aside and let it cool. 3. Line slow cooker pot with foil and make sure you leave enough to cover the top portion before cooking. 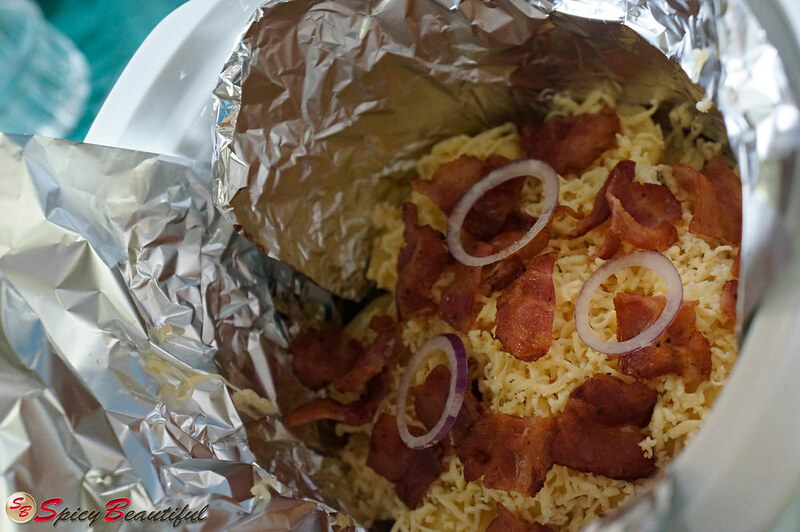 The foil will seal all the ingredients together and would somehow act as a steamer. It will also help the cheese not to burn and stick in the pot. 4. 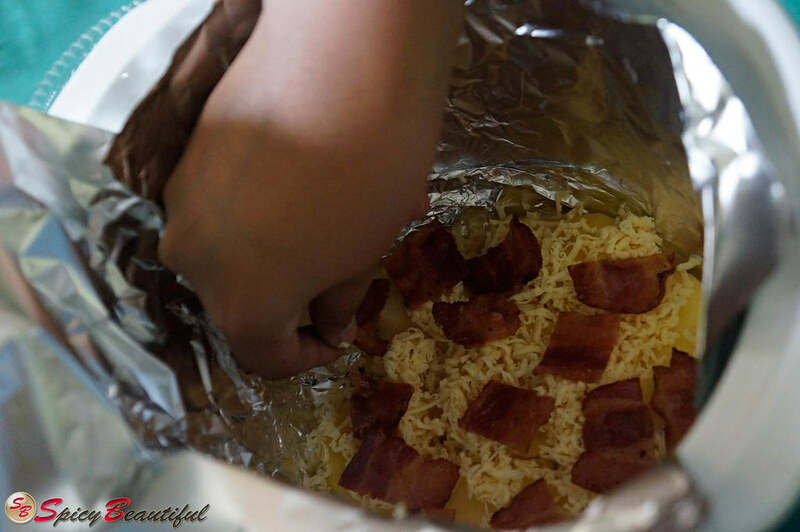 Put in a layer of sliced potatoes, a layer of cheese and a layer of bacon topped with sliced onions and a dot of butter. 5. 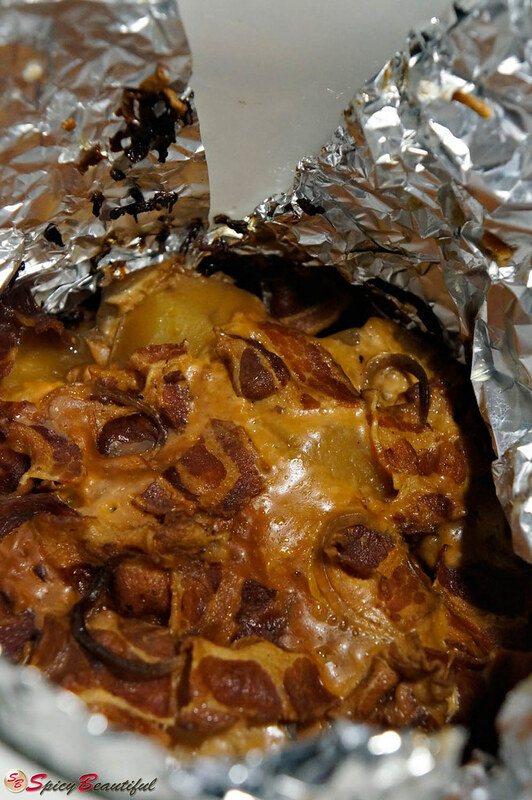 Repeat the layering process and once you’re done, cover it with the remaining foil. 7. Serve while it’s hot! So simple but that looks absolutely amazing with all the cheese oozing out.